CNC | Resources | What Can I Do If My Child Is Aggressive? 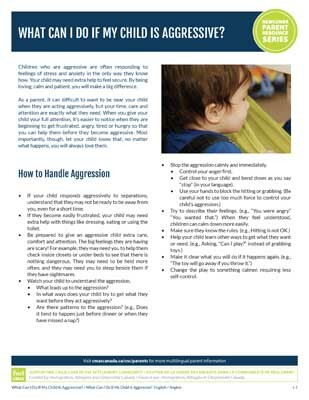 What Can I Do If My Child Is Aggressive? Children who are aggressive are often responding to feelings of stress and anxiety in the only way they know how. Your child may need extra help to feel secure. By being loving, calm and patient, you will make a big difference.